This is the "I Love Fairy Tales" design from Threadless. If you look closely, you'll notice small wings coming out of the bespectacled frog's mouth, and a tiny wand on the ground in front of him. Look even closer you can see the yogurt that Stella had just devoured. Stella LOVES this thing. 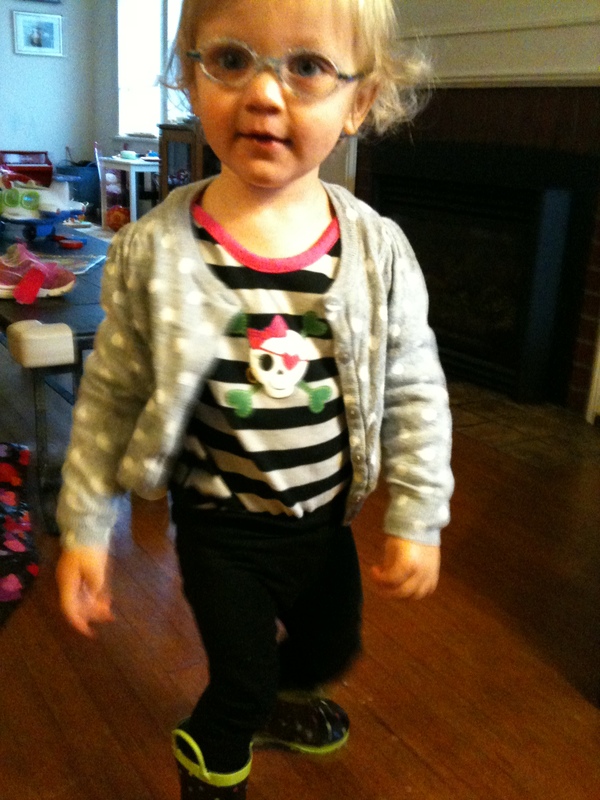 She keeps pointing at the skull and crossbones (complete with a pink bow) while saying, "Pirate girl! Wearing heart eye patch!" Which sums it up quite nicely. Okay I just had to throw this shot in, too. I just like the pose. She was pretty delighted about her look. The onesie, rain boots, and black leggings totally WORK. On her. I could never pull this off. Note: Even though we bought a Canon SLR, it’s somehow often dead or too far away when impromptu photo opportunities strike. So as you can probably tell, these are all un-fancified iPhone shots–no effects or anything added because I’m way behind the times in that particular area, among others. Ah, well, she’s cute through any lens. This entry was posted in Stella's eyes, The Patch, toddler and tagged hanna andersson, i love fairy tales onesie, pirate girl onesie, threadless, toddler "fashion". Bookmark the permalink. Super cute! 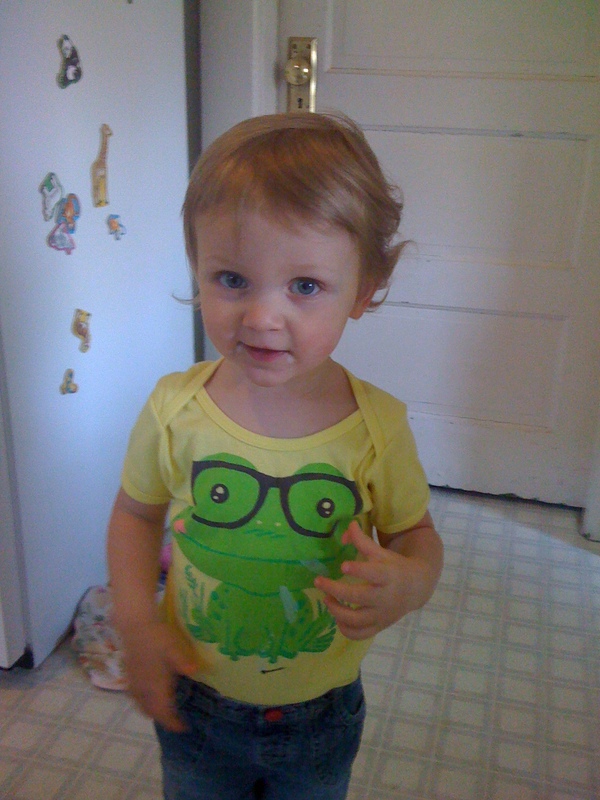 I hadn’t seen the Hanna Andersson onesie – I love Hanna Andersson, for a lot of reasons, but I think it was a year or so ago, their catalog and website featured lots of kids in glasses, they don’t have any in glasses now, but I still love them for that. Mind if I link to this from Little Four Eyes? Also, I would be honored if you’d share the link to this post! Thanks! Hmm, Ann, the woman who heads up Selima Optique is an optician. So maybe they can be used as prescription glasses? But they only come in one size, which is why I figured they were vanity frames. I may contact crewcuts about this. I’m curious because I really like the frames. Yeah, I was just looking at the site trying to figure out if those frames were meant to hold prescription lenses or not. They’re awfully expensive to just wear for fun. Let me know if you ended finding out anything more about them. They are pretty cute. Thanks, Jenny. 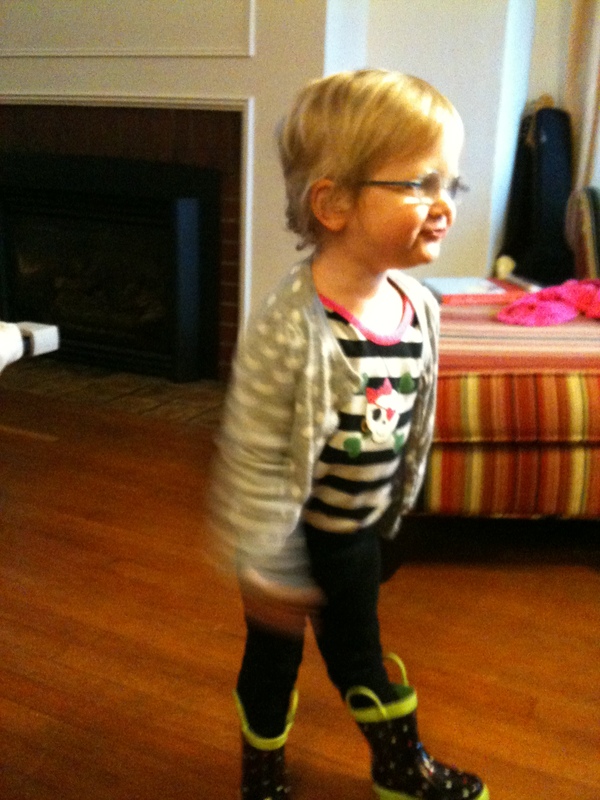 That said, you have a fabulous wardrobe and impeccable sense of style already! Maybe you can use your lemons in martinis of some sort?